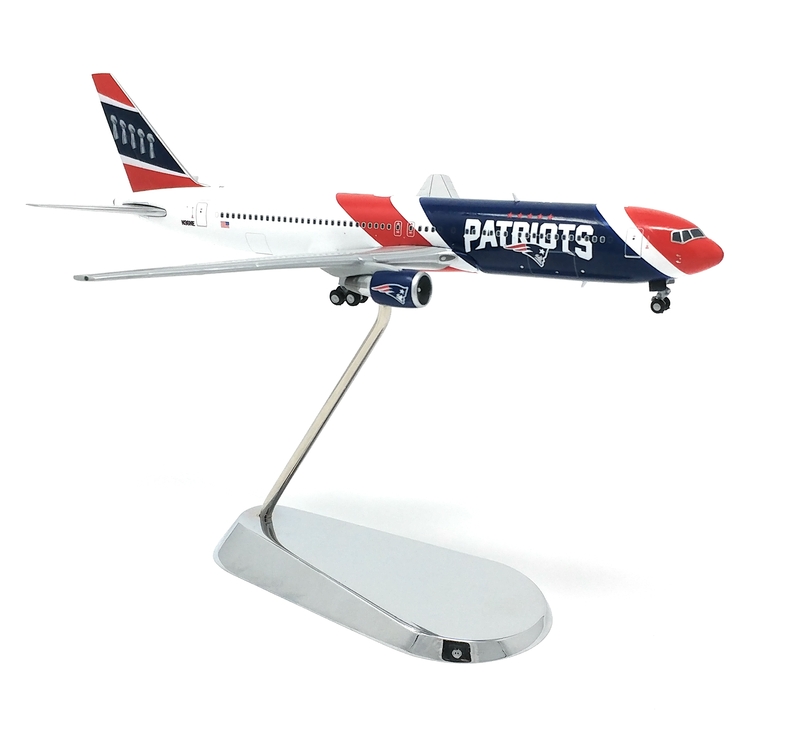 A unique fusion of sports memorabilia and collectible aviation, this unique 1:400 diecast 767-300ER is a one-of-a-kind collectors item. The New England Patriots made headlines in August 2017 when it was announced that they would be the first NFL team to have their own private fleet of aircraft. 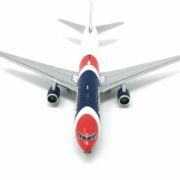 The team purchased two 767-300ERs on August 8th, 2018, both formerly of American Airlines. This diecast model represents a limited edition release that won’t be around forever. Get yours today for the low price of 109.95, with a customized display stand included!